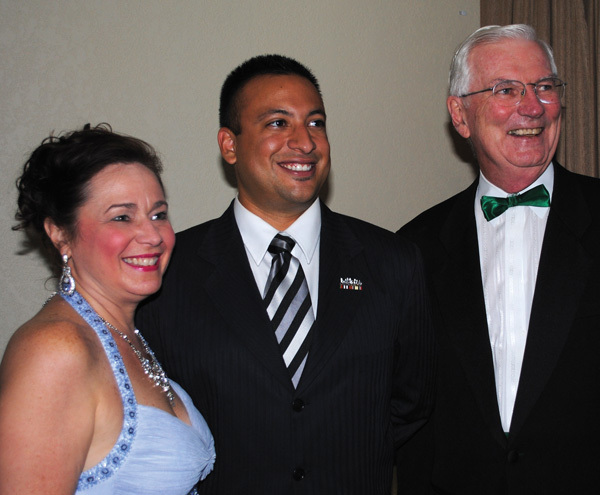 Citizen of the Year Dr. James O’Malley, right, Valor Award recipient Brian D. Escobedo and George Carlisle Award winner Lisa Holbrook wear big smiles as they are introduced at a reception preceding the Clear Creek Education Foundation 20th anniversary celebration at South Shore Harbour Resort. Four of Clear Creek ISD’s best and brightest alumni were honored at the Clear Creek Education Foundation’s 12th annual Reach for the Stars Gala, along with five others lauded for their educational efforts. Dr. James O’Malley was honored as CCEF’s Citizen of the Year at the black-tie gala at South Shore Harbour Resort, while Lisa Holbrook was named recipient of the George Carlisle Award and Bryan Escobedo was presented the Valor Award. Teachers of the Year Jennifer Foley and Nicola Clemmer were recipients of Super Star Awards. 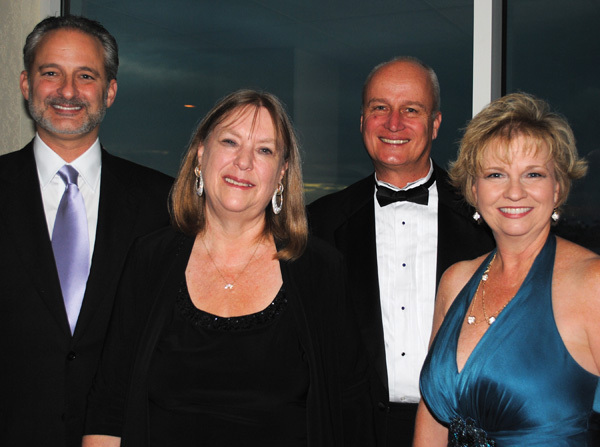 Clear Creek ISD Alumni Scott Krist, Susan Witty Hayes, Dr. Lloyd B. Potter and Cindy Harreld, from left, line up for photos at the reception preceding the Clear Creek Education Foundation’s 20th anniversary celebration at South Shore Harbour Resort. Dr. Lloyd B. Potter, 1975 Lake grad and the Texas State Demographer. 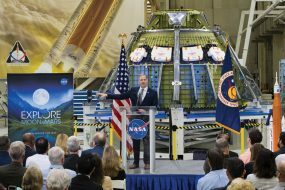 O’Malley was cited for his “passionate and deep belief in the value of a quality education and education system,” and for his service as both CCEF chairman and board member. 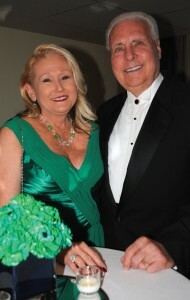 CCEF Gala Chairman Annette Snow Falks and her husband, Ernie Falks, are ready to welcome the crowd. Escobedo, a 2003 Creek grad and veteran of three tours of duty in Iraq, was honored for his work assisting local veterans in making the transition from military to civilian life. 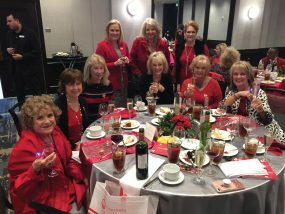 Holbrook, district director for State Rep. John Davis, was cited for her long years of devotion to education as a PTA leader and as a volunteer in many community organizations, including her service as current president of the Assistance League. Both of the Teacher of the Year Superstars are CCISD graduates. Jennifer Foley graduated from Creek in 2000 and Nicola Clemmer from Lake in 1986. Elementary Teacher of the Year, and Clemmer, from Creekside Intermediate, was selected as CCISD Secondary Teacher of the Year.